Best Vaser Liposuction Clinic in Hyderabad (average cost of surgery )? Vaser liposuction is also popular as liposelection which is one of the latest liposuction technique that has been extensively used. 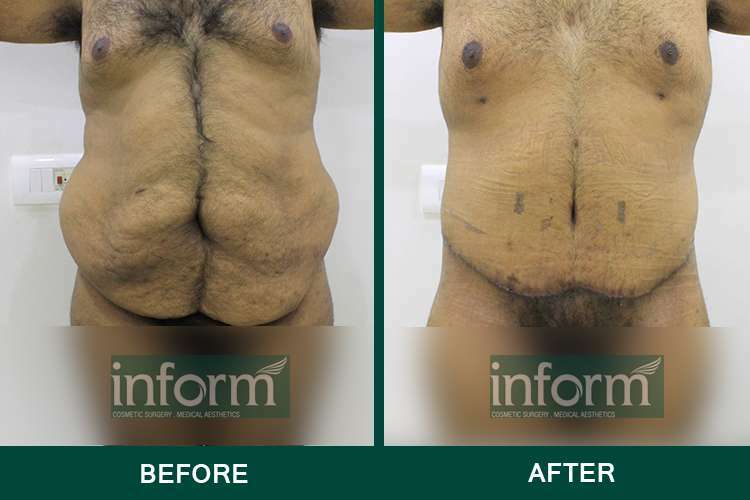 It is considered as the best alternative technology for traditional liposuction. The Vaser liposuction is one of the best and effective procedure to get rid of the unwanted fat deposits from below the skin and improve the aesthetics of a particular part of the body. Optimally, the patients who are treated by Vaser Liposuction must be in overall good health and is looking for a contouring or body sculpting. The Vaser liposuction procedure uses ultrasound energy for removing fat safely from various parts of the body. The ultrasound technology emits some waves which break up and emulsifies the fat that needs to be removed. Unlike other fat removing procedures, Vaser liposuction also involves injecting a large amount of local anaesthetic to numb the area of treatment to minimize the post-surgical bruising, pain and bleeding. Then small ultrasound probes are inserted into the treated area through the incisions. The ultrasound probes emit high-frequency sound energy which is used to break the fatty cells causing a minimal damage to the surrounding tissues. Vaser liposuction is a pain-free and comfortable procedure that can be performed very carefully without causing any major trauma. The recovery period that Vaser liposuction involves is the least. It is a least invasive procedure. This cosmetic procedure helps in improving the elasticity of the skin and helps in body contouring as early as possible. The Vaser liposuction procedure also involves making scars or sutures that are too tiny to be noticed. The complications that are involved in the procedure are minor and mostly includes itching, swelling. In most of the cases, the patients do not experience any major side effects or complications. The additional benefits of Vaser liposuction are that it not only helps to get rid of the unwanted fatty tissues from various parts of the body, but it also helps to tighten the skin at the treated area. This is because the energy emitted from the ultrasound waves may help to tighten the collagen to achieve a better and tighter skin. The results obtained are dramatic and permanent without causing any harm to the surrounding tissues. Vaser liposuction is a gentle cosmetic procedure that is performed under local anaesthesia or light sedation. In this procedure, a large amount of saline solution is mixed with the anaesthetic and injected into the treatment area. A manual cannula is not used in this procedure, instead, an ultrasound aided cannula is used to break down the fat tissues. The cannula emits a high-frequency ultrasound wave to disintegrate and break the fat cells apart. The cosmetic surgeon uses a Vaser ultrasonic probes into the fatty tissue to gently break the fat cells. The vibration caused by the ultrasound probes are inserted into the fatty tissues which liquefy the fat cells. These liquefied fat cells are sucked out from the body with the help of a cannula that is attached to a vacuum suction. Even after sucking the fatty tissues out, some amount of local anaesthetic still remains in the area of treatment which helps to reduce the post-procedural pain. This procedure is considered gentler than any other traditional mode of liposuction technique. The areas of the body that are specially treated for Vaser liposuction includes thighs, knees, abdomen, love handles, arms, chest, chin and neck. The Vaser liposuction is most suited for performing liposuction in the fibrous area. The procedure is best suited not only for fat removal but it also promotes the skin tightening by stimulating the production of collagen. The Vaser liposuction is best suited for people with good skin elasticity. However, Vaser Liposuction is a minimally invasive procedure and the procedure is carried on under local anaesthesia so patients can return home on the same day. This liposuction procedure that the transforms a brick of fat into a soft mineral like a smooth slab of butter thus facilitating the gentle fat removal through suctioning. The risks associated with Vaser Liposuction are similar to the liposuction risks that are associated with any other cosmetic procedure. Vaser liposelection minimizes the damage to other body tissues so patients experience less pain and fewer side effects. Any major complications are rare. The only complications that exist are the formation of blood clots in the treated area. Accumulation of fluid, infection in the treated area may also be experienced by some patients which can be avoided by following the post-op instructions that are provided by the surgeon. The patients are also provided with a compression garment to provide support to the new body contour and enhance the healing. In order to undergo a safe and steady Vaser Liposuction procedure, it is very important to select an experienced and well-trained surgeon who can anticipate the complications and side effects of the procedure. If the doctor is not experienced then he may apply too much fluid in the incision area of treatment then that extra solution may get collected in the lungs. Too much of local anaesthetic in the area may also increase the toxicity level of the body. The Vaser Liposuction is performed on an out-patient basis so the patients can return back to their place on the same day of undergoing the procedure. Immediately after undergoing the procedure, the area of treatment or the incisions is covered with dressings or elastic bandage. Patients mostly experience some amount of pain, bruising, swelling, redness though it may settle down within few days. Typically the patients are recommended to take rest for two to three days from work. Overall, the patients are able to resume normal activities within a week or so. Though, patients may not be able to start vigorous activities and exercising until recovered completely. The recovery period may vary from person to person. The surgeon will provide with some post-op instructions, medications and a compression garment that the patients must follow in order to enjoy an uninterrupted recovery. The compression garment must be worn for a week or until your surgeon recommends. The medications include medicines for the pain to resolve the persisting discomfort of the patients during the recovery period. Antibiotics are provided before and after the procedure to reduce the chances of infections at the incision site. One of the most important disadvantages of Vaser liposuction is that it is a very costly procedure. The amount of fat taken out from the targeted parts of the body is mostly too much limited and in rare cases, it may also not be able to procedure the desired appearance. Scarring is one of the most common disadvantages of the procedure tough the surgeon makes tiny incisions in such areas so that they remain inconspicuous. For some people, pain and numbness may persist for even weeks and it may take some time to disappear completely. The final results may, however, take some time and even more than a month to appear. Normally the results of Vaser Liposuction typically takes four to six months to appear. It is only the ultimate result that can determine the success of the procedure. Inflammation is another common side effect that is associated with the procedure. Some people may experience a rapid recovery whereas some patients may suffer from severe inflammation for days and even weeks. However, the surgeon usually provides some anti-inflammatory medications to deter the chances of infections. Last but not the least, liposuction is not a weight loss procedure or a treatment for obesity. It can safely remove the stubborn fat deposits from the targeted part of the body and provide a better physical appearance. If people in and around Hyderabad is wanting to accomplish a contoured body appearance then it is very important to choose a surgeon who can help with a safe procedure. But finding and choosing such a surgeon may sometimes be daunting. 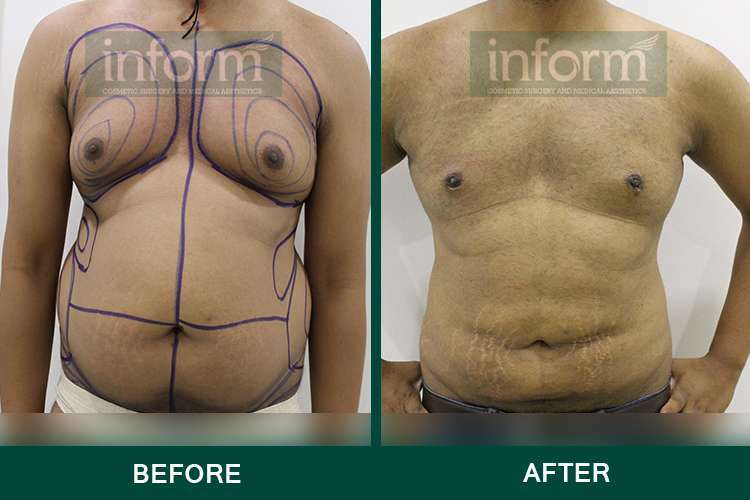 Here is a good news for such baffled people who wants to undergo a Vaser Liposuction procedure in Hyderabad. Inform Clinic is one of the top medical centers that provide the best and safe procedure at affordable rates. Dr. Dushyant of Inform clinic aim in providing the best services to his patients to improve their self-confidence that affects the quality of life. His clinic maintains proper hygienic ambiance that makes the patients feel better. Additionally, the staffs there are trained technicians who take care of the patients and deals with them politely. The clinic is well equipped with all the latest technologies and also provides patients with the highest level of expertise. This clinic not only specializes in this specific liposuction procedure, but they are equally adept in other cosmetic procedures too. Therefore cherry picking Inform Clinic in Hyderabad is probably the best option ever. Before undergoing the procedure, the physical conditions of the patients are first analyzed to make sure that they are eligible to undergo a Vaser liposuction procedure. Then the patient’s medical histories are reviewed and they are asked to undergo some laboratory test. After evaluating the result they are mostly provided with some pre-op instructions which the patients must follow to avoid the complications. Patients who are addicted to smoking are recommended to stop smoking at least two weeks before and after the surgical procedure. This is because the nicotine content interferes with the healing ability of the body. The patient is overall asked to lead a healthy lifestyle both before and after the procedure. On the day of undergoing the procedure, the candidates are asked to come with someone reliable who can drive them home safely and someone who can take care of the patients at home. This is because it is obvious that the patient will experience some pain and discomfort for few days after undergoing the procedure. Before beginning with the procedure the candidates are administered with local anaesthesia to ensure that they do not experience any pain or discomfort. After the completion of the surgical procedure, the incisions may not be sutured up to facilitate the drainage of the anaesthetic fluid. The accumulation of that in the body may not only increase the chances of infections but it may also result in swelling. Few hours after completing the procedure the candidates are kept under observation. The patients may feel groggy after the completion of the procedure but they will be overall fine within few days. Some medications, instruction will be provided which needs to be followed. The surgeon will also provide a post-op garment to provide support to the new contour. Who can undergo a Vaser Liposuction? A Vaser liposuction is suitable for people who are in an overall good health condition and a stable weight. People must not consider this as a treatment for obesity or a weight loss program. Additionally, people who wish to undergo a Vaser liposuction procedure must also be well aware of the pros, cons, and risks involved in the procedure. Finally, they must keep a positive and realistic outlook on the procedure. What area of the body can be treated with Vaser Liposuction? Normally it is said that a Vaser liposuction can ideally treat a various targeted area that is mostly fibrous. However it still can be used to treat various areas of the body like abdomen, thighs, knees, buttocks, hips, back, arms, male breasts, love handles, chin, and neck areas. How much fat can be taken with Vaser Lipo? There is a limit to the amount of fat that can be removed safely from the body in one session. So the amount of fat that can be removed typically depends on the general health, weight and the percentage of body fat. Normally it has been said that only 3.5 liters or just four percent of the body fat can be removed safely in one treatment session. If more than that fat is being removed from the body then it may give rise to serious complication to the health of the patients. In fact, removing an excessive amount of fat can also result in severe irregular contours and thus the aesthetic goal cannot be accomplished. However, these deformities are not permanent, they can be solved by undergoing a revision procedure. What about future weight gain after undergoing a Vaser Liposuction procedure? In a Vaser liposuction procedure, the fat tissues are permanently removed from the body. But there is a chance for the neighboring fat to grow bigger if the patient is not leading a healthy lifestyle. So the patients, after undergoing a Vaser liposuction procedure are recommended to lead a healthy lifestyle to maintain the achieved result. However, normal ageing may affect the result. How does Vaser Liposuction differ from Traditional Liposuction? A Vaser Liposuction is one of the latest, advanced body contouring procedure that can selectively remove some unwanted body fat from various parts of the body. It is a gentler liposuction approach that includes tiny incisions, least bleeding and bruising and most importantly least recovery time. The tumescent fluid that is mixed with some anaesthetic and is injected into the body helps in constricting the blood vessels that make it even safer procedure in comparison to the harsh and invasive techniques used in a traditional liposuction procedure.